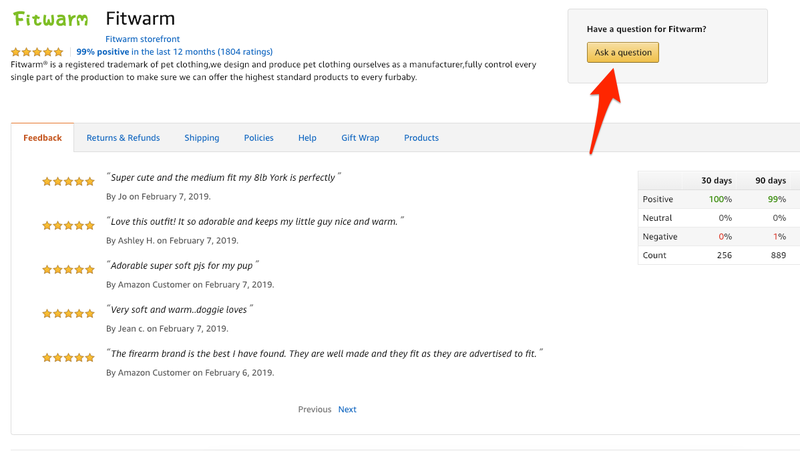 Contacting a third-party seller on Amazon is relatively easy once you know where to go. Prime-eligible items will be redirected to Amazon’s customer service. Here’s what you need to know to get in touch with a seller on Amazon. 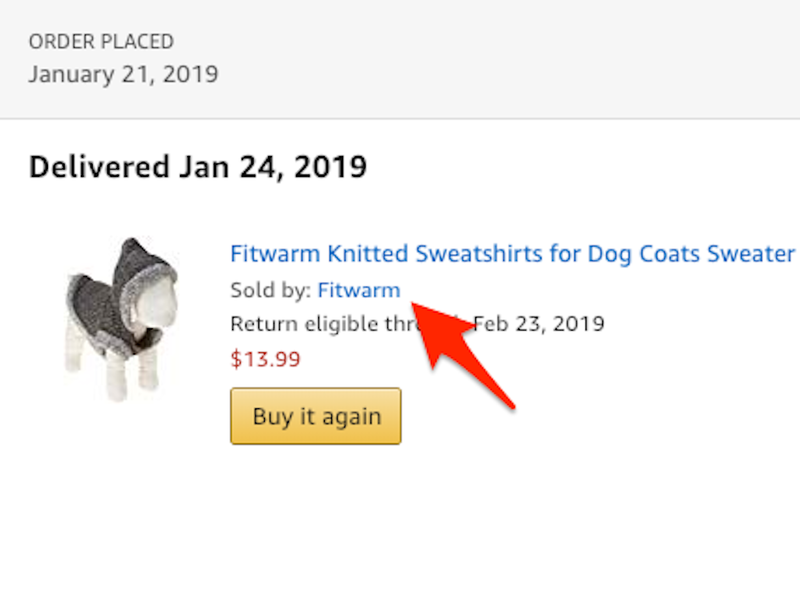 You place an order on Amazon through a third-party seller and then something happens. Or maybe you have an issue that’s somehow completely unrelated to a dog. That’s fine, too. In situations like these, it’s best to contact the seller. 2. Click on „orders,“ located in the top right corner of the screen. 3. 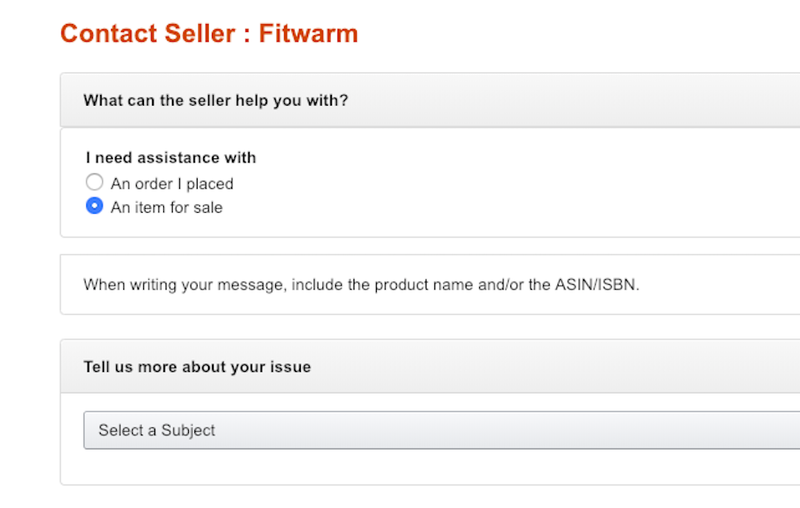 Find the order you want to contact the seller about and copy the product name or ASIN/ISBN. You’ll need it later. 4. Under the name of the item, you’ll see „sold by X.“ Click on the hyperlinked name of the seller. From this section, you can also check out the vendor’s return and refund policies. 5. Click the yellow „ask a question“ box on the upper right side of the screen. This will launch a new window. Select a subject for your issue. These include options like, „Where’s my stuff?“ „Cancel order,“ „Received wrong item,“ and „Other question,“ among others. When you communicate this way, your email address is replaced by an auto-generated one provided by Amazon, similar to the way that Craigslist protects its users email addresses. Amazon asks customers to give the seller two business days to reply, but says that most reply sooner than that. If you ever need to reference your communiques with the seller later on, you can do that by going to your account (under „Accounts and Lists“) and clicking on the „Message Center“ option. This is also where you’d be able to reply. Click on „orders,“ located in the top right corner of the screen. After you’ve provided all of the necessary information, Amazon will process your issue and, if necessary, help you contact the seller. There's a tiny heart hidden among flowers in this brainteaser — can you find it in time for Valentine's Day?